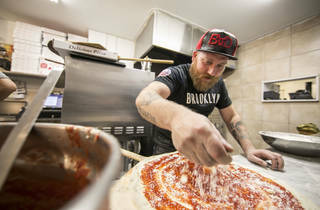 The name may single out Kings County but pizzaiolo Nino Coniglio finds inspiration all over New York for this Crown Heights za outlet. 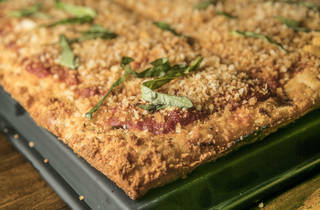 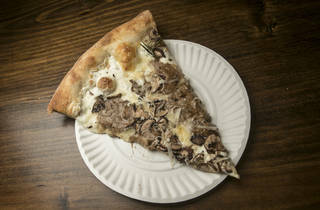 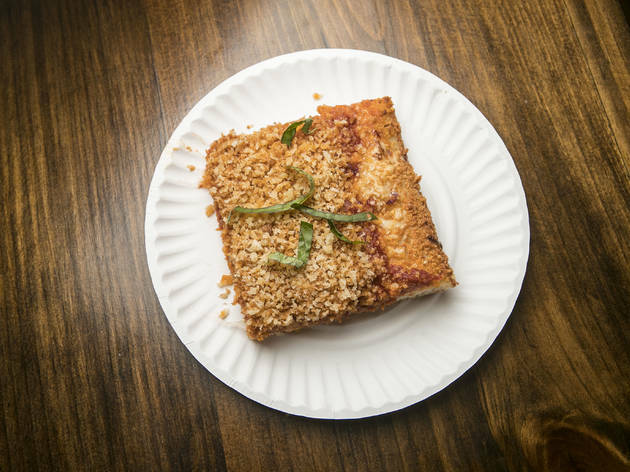 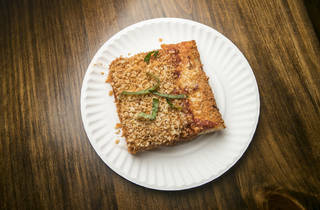 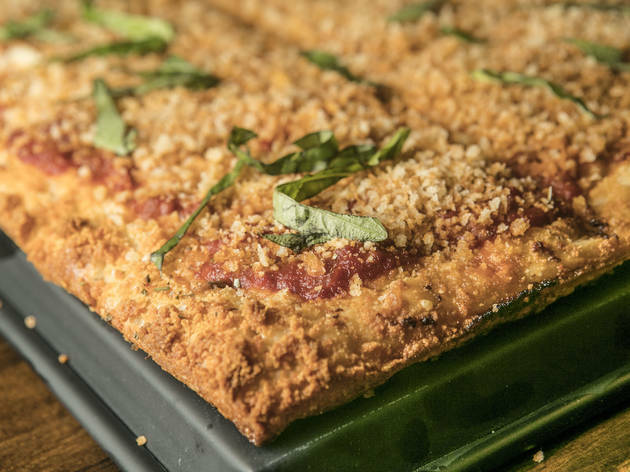 Along with staples like a Margherita pie, Coniglio—who also owns Williamsburg Pizza—serves an upside-down square inspired by Bensonhurst great L&B Spumoni Gardens; and a stuffed-artichoke grandma pizza topped with creamed spinach and house-made mozzarella, a seeming nod to the Artichoke Basille's chain. 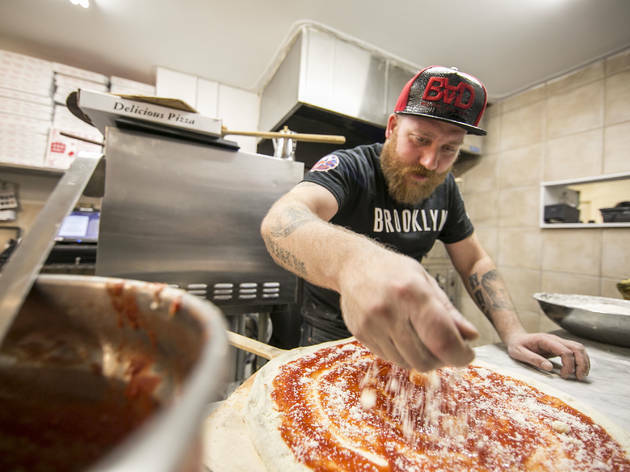 His “Brooklyn Style Pizza,” layered with smoked scamorza (an Italian cow’s milk cheese), cremini and porcini mushrooms, a porcini truffle cream and pine nuts, won Coniglio the title of Pizza Maker of the Year at the 2016 Annual International Pizza Expo this past March.